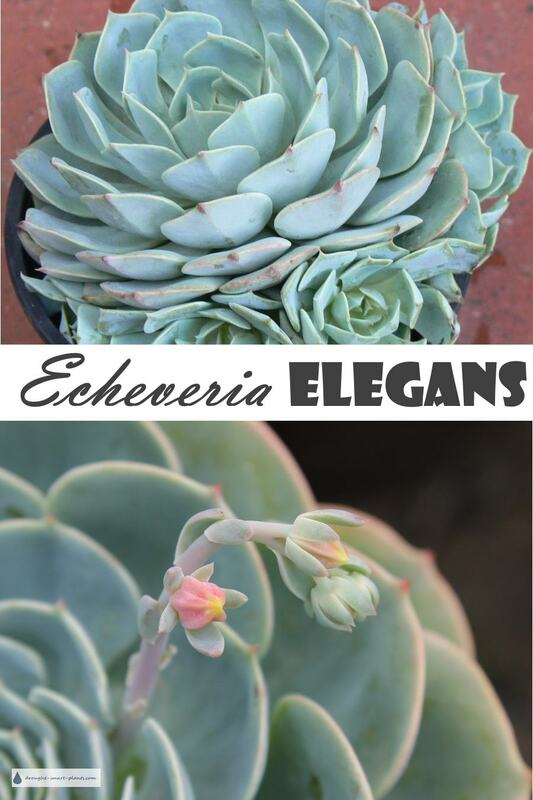 Echeveria elegans, is as the name suggests, an elegant classic. Also known as White Mexican Rose, Mexican hens and chicks and Mexican Gem. The lovely flower-like rosettes can in time become a virtual carpet of pale blue. 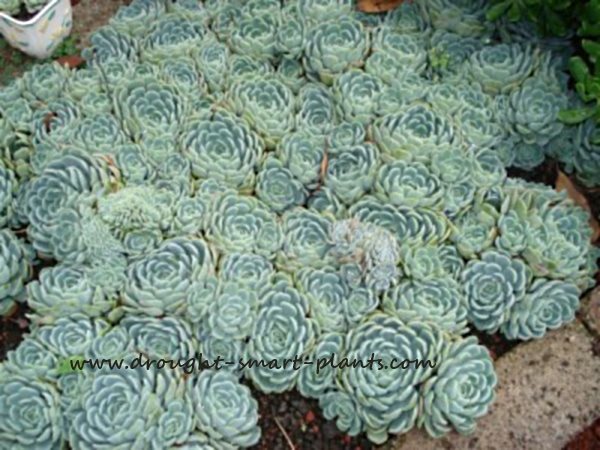 It's easy to grow, and forms offsets quickly and can make a wide carpet of the rose-like rosettes. Size of each rosette is about 6cm (3-4") across, but they can quickly form clusters of many offsets that may reach over 50cm (1-1/2') across. Grown in a container they're well behaved and easily pruned back to size. The best conditions are in bright light at all times to prevent stretching, and excellent drainage. Fertilize sparingly to stop excessive growth - I recommend a couple of waterings with compost tea over the growing season, tapering to no water at all in the winter, especially indoors. 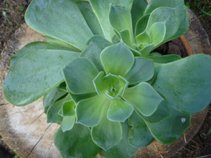 Propagate by removing offsets, which form readily - simply pull them off, replant where you want them, either to form another colony in your landscaping, or in containers, where they excel. Behead them if they get too tall, particularly if the light isn't bright enough. 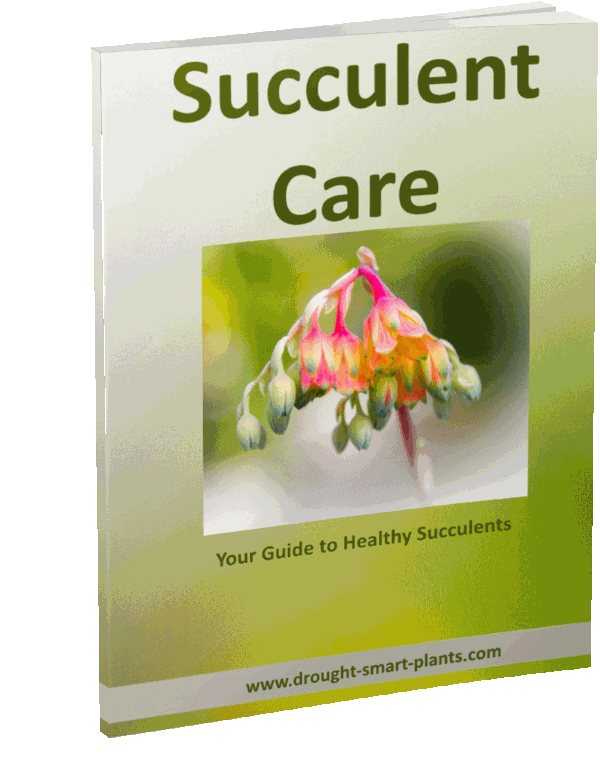 This encourages new growth to emerge from beneath the cut part, and makes a more compact plant. The top of the rosette will root easily in dry potting soil, and replace the older stem. 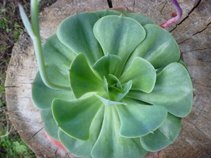 Use as groundcover if you're in a warm climate with no frost, as an indoor houseplant in a sunny window or for succulent wreaths and other crafts. 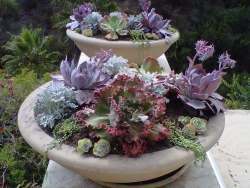 It's also gorgeous in wedding bouquets and combines beautifully with other succulents in other wedding flowers.